Today LA based NZXT launched the H440 chassis amid an explosion of marketing hyperbole and accompanied by a slick video. The PC case is claimed to "shatter tradition," bring the H series "to a whole new level," offer "next generation fans," and be "seamless and beautiful," among many other things. So let's have a look at exactly what has been launched today. You can see that NZXT has decided to leave out any internal fitted ODD drive provision and it did so to "to make room for a host of chassis improvements and innovations," according to the press release. It has certainly spent a lot of effort re-arranging the case innards to make it sleek and good looking through the large side window. 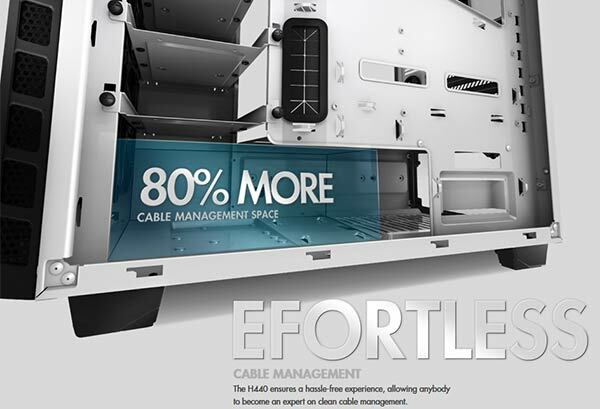 Major internal design decisions include an integrated power supply shroud which lets users effectively hide most of the cables for appearance and airflow sakes. Four new design NZXT steel HDD trays offer build flexibility while maintaining the "remarkably clean system". From the outside perspective the case looks pretty swish too, available in white or black & red depending upon your taste. Let's look in more depth at the cooling options. NZXT says that one rear 140mm exhaust fan and three front 120mm intake fans come as standard and are FN V2 'next generation' designs. The chassis can also accommodate radiators such as those fitted to the Kraken range of water coolers, tidily and with ease. The NZXT H440 will be available "soon", we are told and it will retail for around €109. Retail versions of the included fans the 120mm FN V2 and 140mm FN V2 will also be available soon for €8.99 and €9.99 respectively. (So the chassis includes about €37 worth of fans within its price). 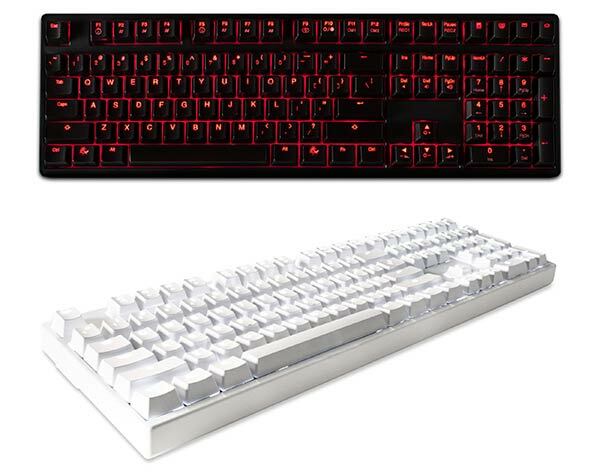 In a simultaneous news release from NZXT it was announced that it had partnered with Ducky Channel to create an "extremely limited edition" NZXT Shine 3 Mechanical Keyboard. This keyboard will be available in black/white and black/red and features Cherry MX Red switches with several LED backlighting modes. DIP switches allow users to toggle keyboard features such as windows key lockout, ctrl and capslock swap, windows key and alt swap, or demo mode. 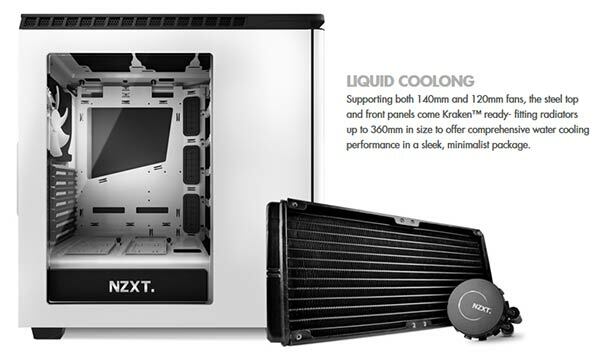 This is an NZXT Armory Store exclusive at $149.99. Crumbs that is a good price the spec and size of this case. Going to give Corsair a run for their money. A doorless front panel that looks just like a door? Those Ducky/NZXT keyboards look awesome. If I didn't already have a Shine 3 YotS I'd definitely consider that white one. It's so “Efortless”… other than that picture mistake, it looks interesting. the lack of a 5.25" bay is an interesting decision, but it rules it out for me.